Wow-wee you guys! 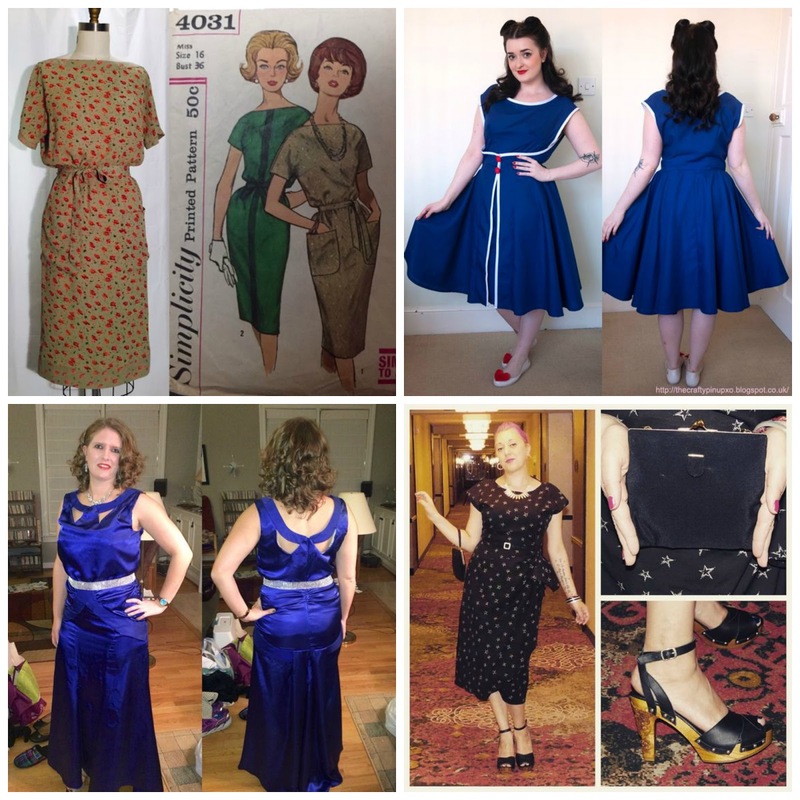 The lovely girls at The Foldline, Kerry and I had our work cut out for us picking the 2016 end-of-year #VintagePledge winners, with almost 400 brilliant entries to choose from! A MASSIVE thanks goes to our generous sponsors for making it possible to recognise your efforts. 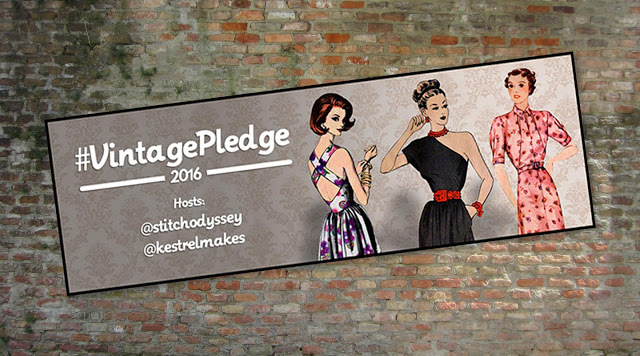 Before the big reveal, I just wanted to update you on the 2017 #VintagePledge. 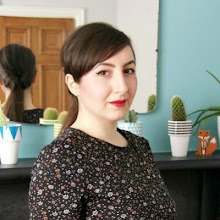 Sadly, Kerry and I have pretty busy years ahead so it won't be possible for us to organise guest blogs and end-of-year prizes this time round. However, we'll both still be sewing our way through our vintage patterns and we certainly don't want to loose momentum on such a successful initiative. We've set up a 2017 Pinterest Board which we'd love you to share your makes on - just follow the board and ask me to add you as a contributor. 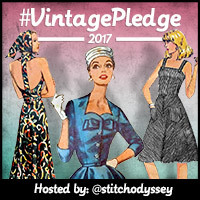 We'd also love you to continue using the hashtag #VintagePledge when sharing your makes on social media so we can inspire others by sharing them. Personally I will be blogging my pledge soon, so please feel free to do the same or to comment on my upcoming post with your own plans. 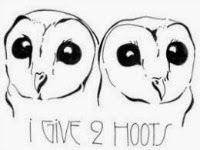 I'll see if I can convince Charlotte to design a cool new button for us too...hehe! Finally, if life is a little calmer than last year...you may see the return of #VPJuly...but I can't promise anything yet! 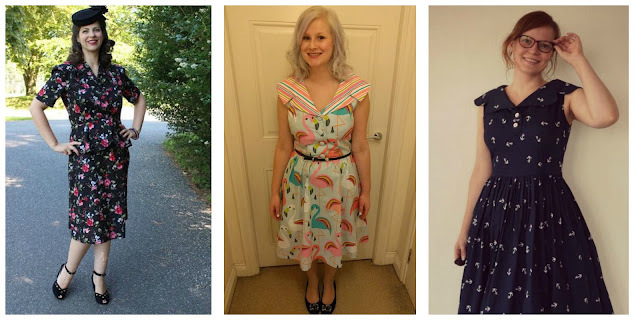 With SO many awesome dresses entered in the competition, I'm really grateful to our sponsors that we're able to give out two prizes! First prize - £50 to spend at online Weaver Dee - goes to Nicole Needles for her gorgeous 1950s creation. She paired a reproduction Vogue pattern with unusual animal-print fabric and got the fit spot on! 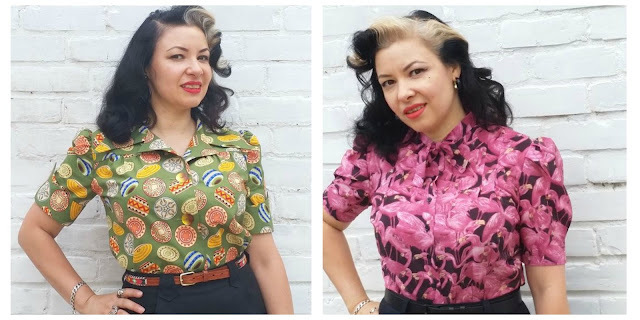 We love the high neckline and the party going on at the back, which you can check out on Nicole's blog. 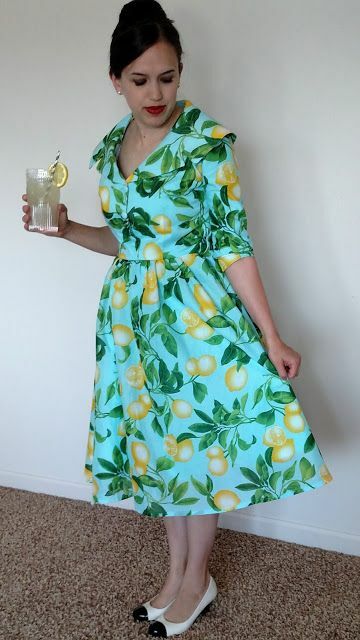 Our second prize - a £50 Sew Over It voucher - goes to another 1950s reproduction, but we couldn't resist Sara Jolie's lovely lemon number. 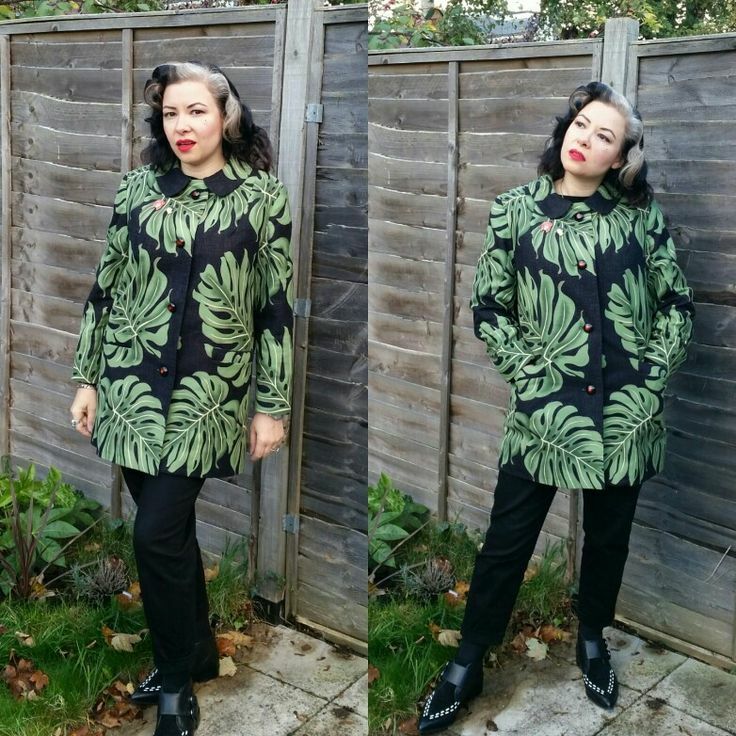 The unexpected colours work wonderfully together and the oversized collar is fabulous. Cheers! For out third winner, it's become a bit of a tradition to make annual Halloween-themed blouses using a vintage 1950s Butterick pattern. 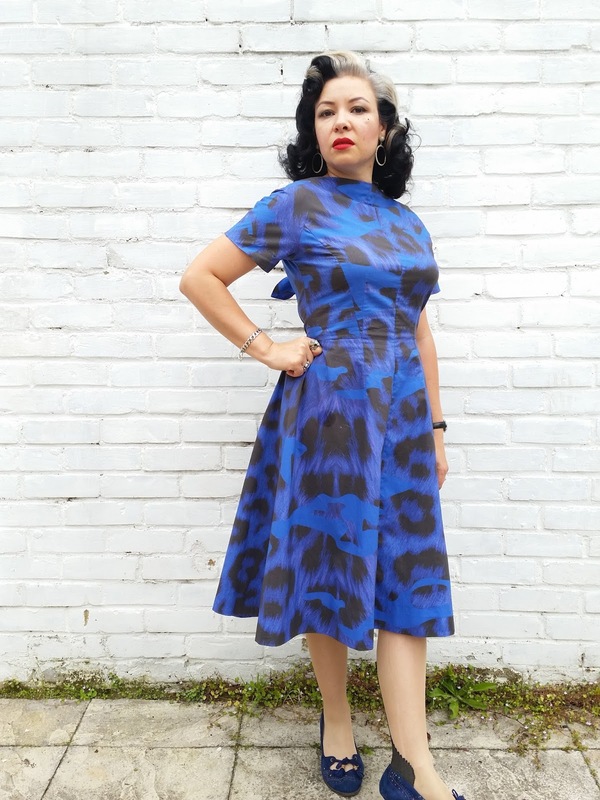 We're head over paws with By Gum, By Golly's kooky black cat make so we're giving her £50 to spend at Sew Essential. The 1950s may have dominated the first three prizes, but Sew It or Throw It's gold satin spandex skirt has brought it home for 1979. 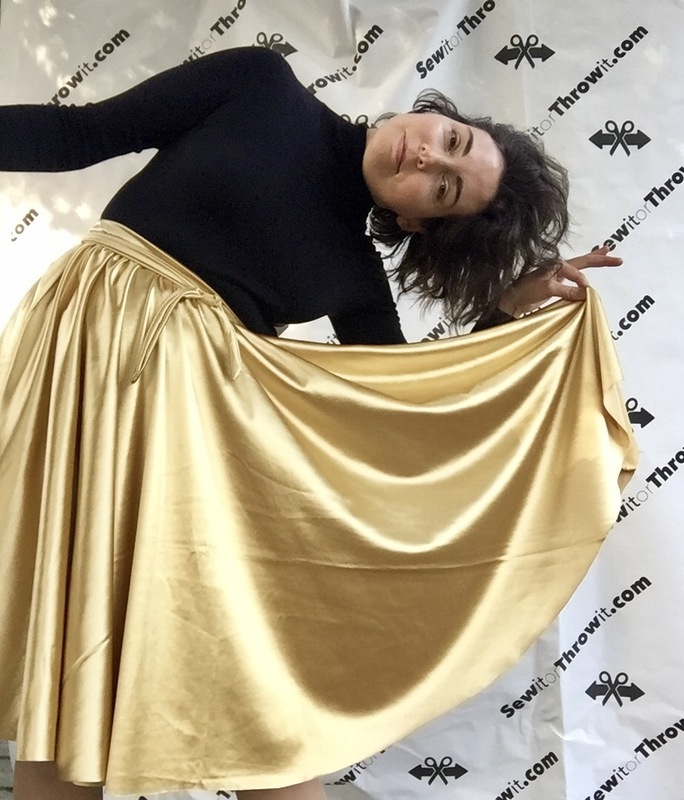 Seriously, this skirt is all kinds of awesome, well deserving of a £50 Girl Charlee Fabrics voucher. My goodness, did you guys excel yourselves in this category! But the £50 Remnant Kings voucher goes to Vintage Gal for her very beautiful 1930s winter jacket. 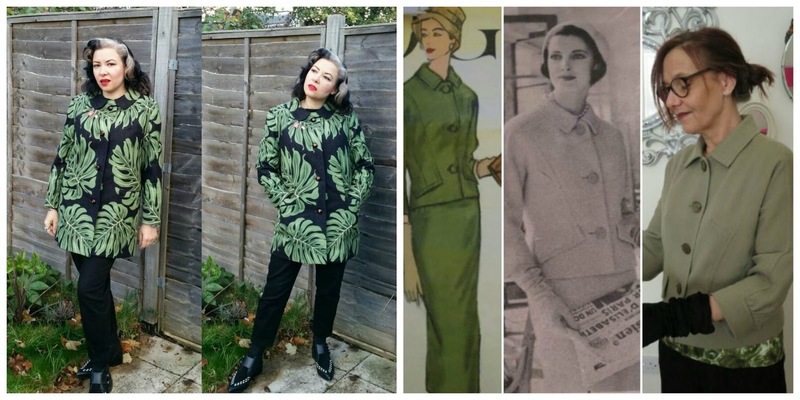 It really is a work of art and although she's yet to blog the finished garment, she has outlined some of the fascinating vintage techniques she adopted during the making process. 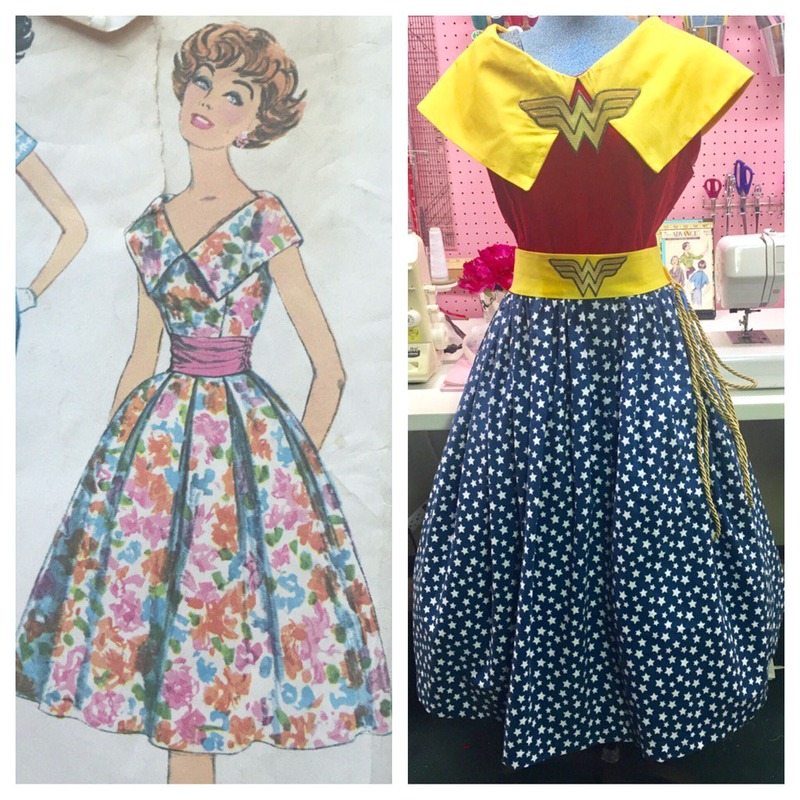 Choosing finalists for this category was such fun, especially when we spotted Amy MacKay's Wonder Woman dress, cleverly made using a 1960s pattern. Pretty cool, huh? 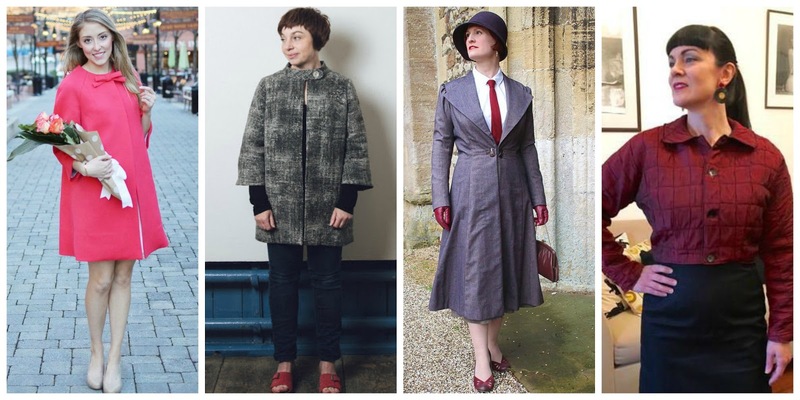 And worthy of £30 to spend online at Beyond Measure and a carefully selected fabric kit from Sew Wardrobe. 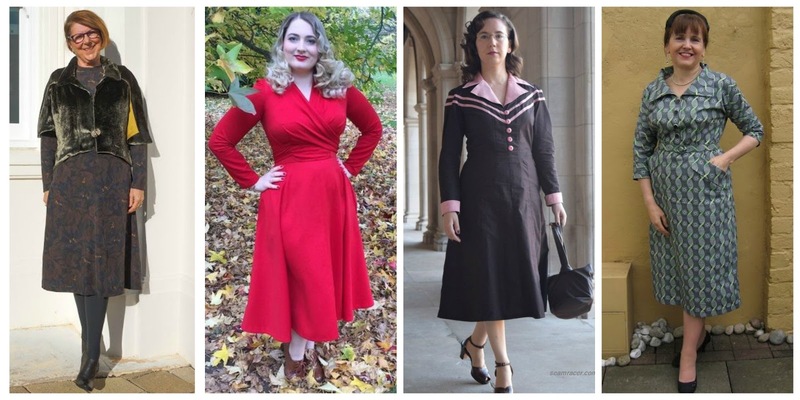 Pretty Mermaid's Purse's stunning Film Noir gown well and truly blew us away, and is the worthy winner of a £100 fabric hamper from Minerva Crafts and three patterns of her choice from Decades of Style. 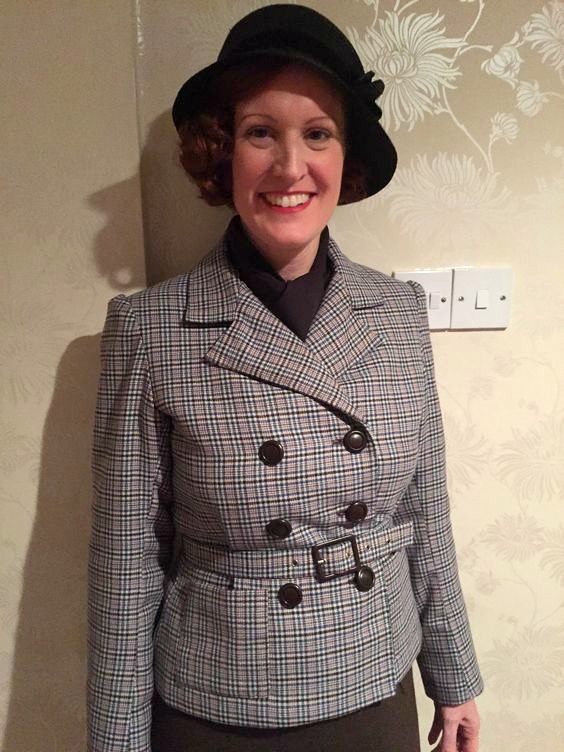 Not bad for a pair of curtains and her first time using a 1940s pattern, eh?!? 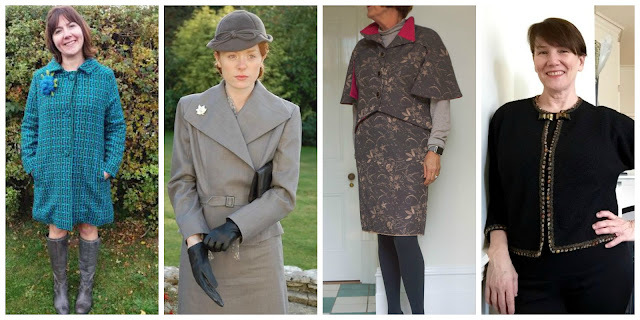 Head over to her blog for more pictures and a better look at her 1940s fascinator, kid gloves and shoes. As I've already said, there was a staggeringly large number of entries to sift through and inevitably, lots of them caught our eye. 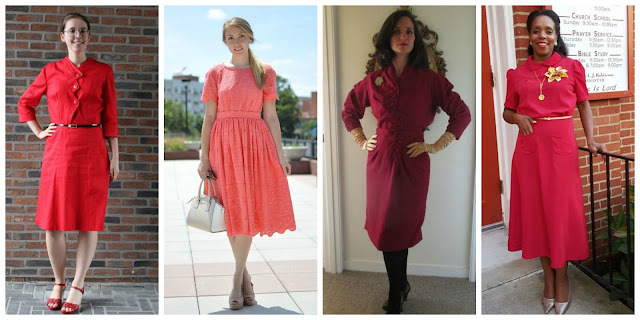 Here are the finalists in each category...I only wish we had prizes for each and every one! Awww, thank you so much for my nomination! For various reasons it's been a tough few days at Tulip Mansions, and this has really made my weekend. Thank you to you and to Kerry for organizing. 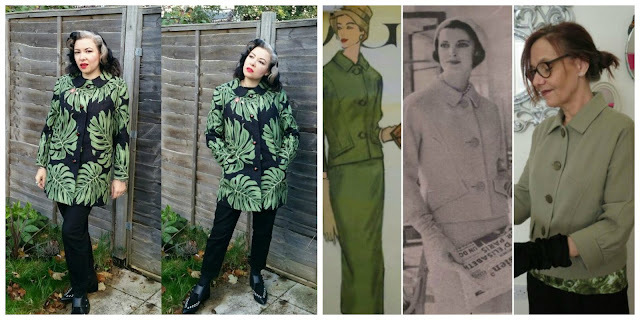 Many vintage patterns have come out of storage and been brought to life, thanks to this pledge! 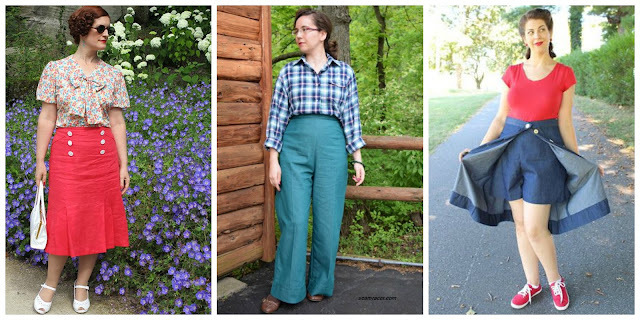 I think my favorite part of the pledge is seeing how people use vintage, whether it's to create a total vintage look, or to bring a little vintage wink into an otherwise current outfit. 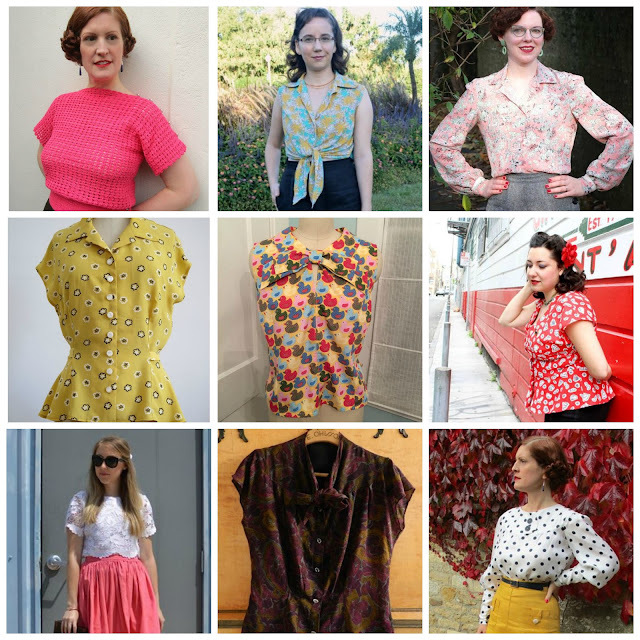 You're welcome - I love reading your blog and seeing what you're making out of such an amazing range of patterns. Thank you for organizing this, and I wish you a more relaxed year. I hope the same for me too. 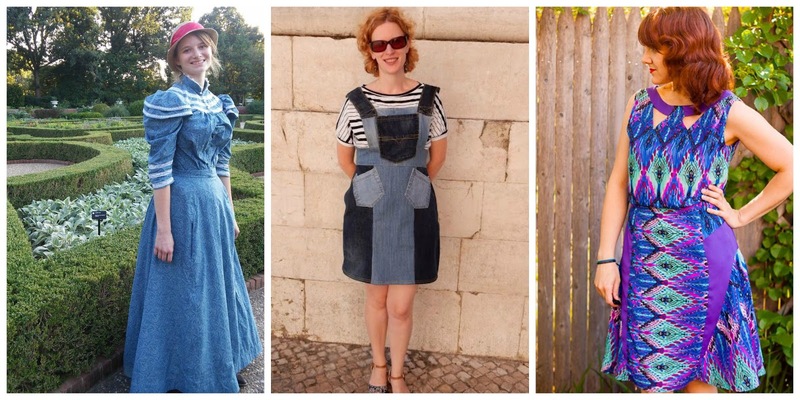 Thank you so much for including me as one of your finalists! 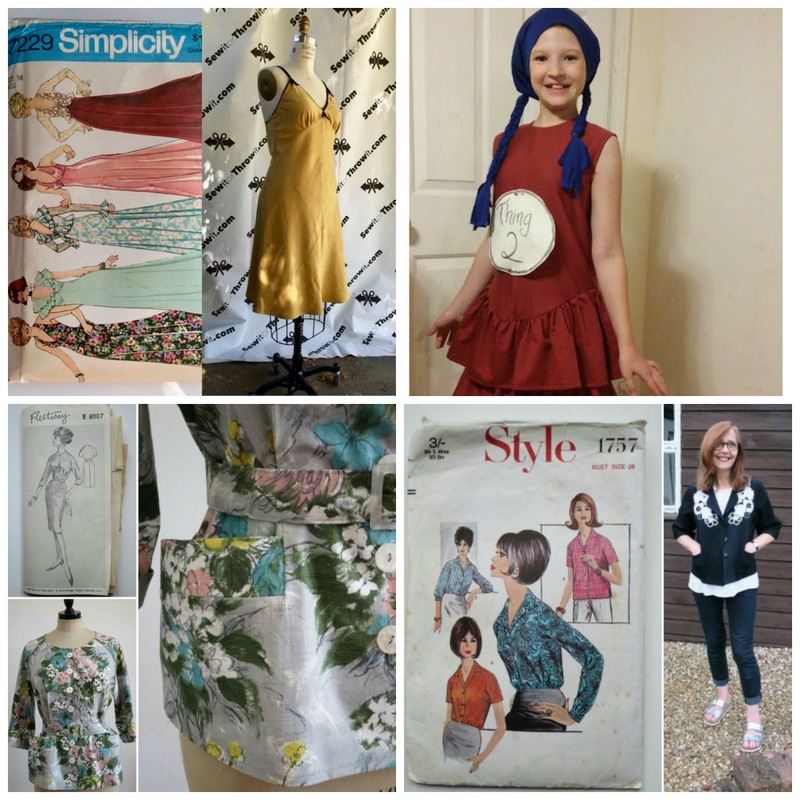 It's such a great sewing incentive and was one of my first blog posts. Well done everyone, amazing makes! Congratulations to the ladies that won the prizes this year. 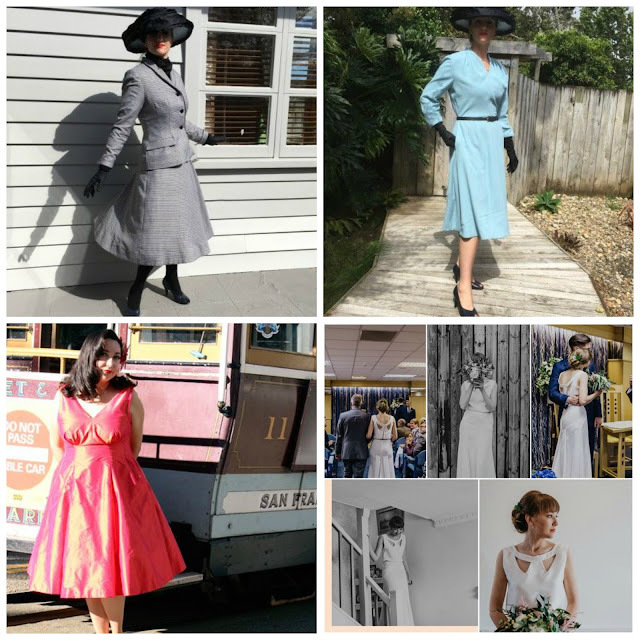 Thank you so much for considering me as a finalist for my dress. It was so much fun making the clothes this year and I truly enjoyed seeing all the other contributions. Its OK that there won't be a prize at the end of the year. I am sure like alot of the other ladies, just sewing is prize enough. 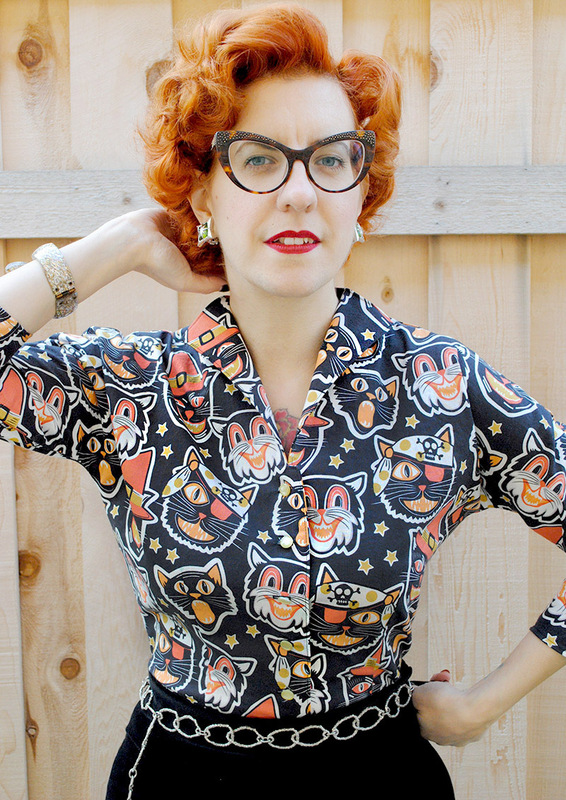 I am happy that you made a page on Pinterest, please allow me as a contributor. I hope my skill is improving enough that this year I will have some really nice pieces to share. Again congratulations to the winners and the finalists. Massive congratulations to all the winners! Thank you so much for making me a finalist, I am really humbled & excited! 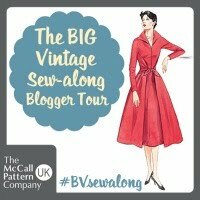 This was my first year taking part in the vintage pledge, and it was fantastic. 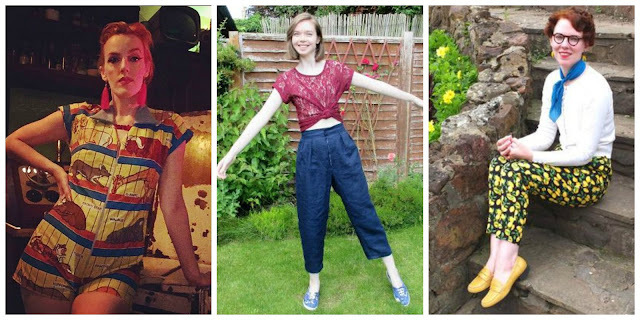 The pledge really enabled me to push myself out of my comfort zones, and to try new things. 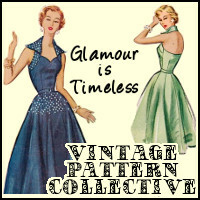 Thank you so much for running the vintage pledge! Love seeing everyone's lovely creations! Lots of amazing inspiration here! Will there be a 2017 challenge? So many wonderful creations!! Simply amazing!